Somerset County Council is currently seeking safeguarding and assessment social workers to work in Taunton and West Somerset. For an informal chat about opportunities in safeguarding and assessment, contact operations manager Wendy Hesford on 01823 357 891. Children’s social care in Somerset is on a journey of improvement. The future is looking good and we need permanent social workers with a passion for protecting children to join us and be part of the change. In Taunton and West Somerset, we are looking for social workers who can provide focused support to children and families – committed social workers who will join our team and be a consistent and clear professional for the families we work with. And there are many reasons to come and work in Somerset; as well as making a vital difference to the lives of children and families you will be joining a team with a high morale and extensive resources in an authority that provides great opportunities to develop social work practice. We work from specially designed office environments where staff and managers work alongside each other, including spaces to wind down and reflect. All Somerset social workers are equipped with laptops and phones that allow them to work on the move or at any of our five hubs across the county. The flexibility of our technology offers lets social workers focus on the job and avoid needless travel. Somerset’s practice model is strengths based with a focus on empowering families to find their own solutions using the key aspects of the Signs of Safety approach. Our social workers say that our business support is ‘first class’ and is delivered by a dedicated team that understands the needs of social workers and service users alike. Our business support teams are approachable, adaptable and committed – helping our social workers focus on improving the lives of children and families. Our partners are on the improvement journey with us and our common goal is doing what is right for children and their families. Simon Lewis, assistant director – housing and community development, West Somerset Council: “We have a strong working relationship with the children’s social care team in Taunton and West Somerset, which has gone from strength to strength. We are very encouraged by the improvement journey which is clearly working. Jenny Spencer, health visiting team, Somerset Partnership NHS Foundation Trust: “Using the Signs of Safety approach to child protection we work very closely with Taunton and West Somerset safeguarding and assessment team. 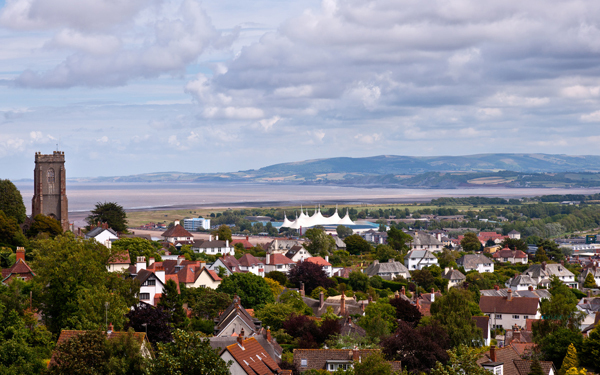 As a place to live Taunton and West Somerset has plenty to offer; its footprint includes a national park, beautiful coastline, areas of outstanding natural beauty, and Somerset’s vibrant county town. The scenery is stunning so driving to visits is a pleasure in itself. You can find out more about the area at Visit Somerset. We are currently seeking safeguarding and assessment social workers to work in Taunton and West Somerset. For an informal chat about opportunities in safeguarding and assessment, or to book a visit to the Taunton and West Somerset team, please do not hesitate to contact operations manager Wendy Hesford on 01823 357 891. The closing date for applications is 5pm on 7 July 2017.